Inspired by his late grandfather, a painter and his first teacher, Richard Winkler was born in Norrköping, Sweden on June 26, 1969. 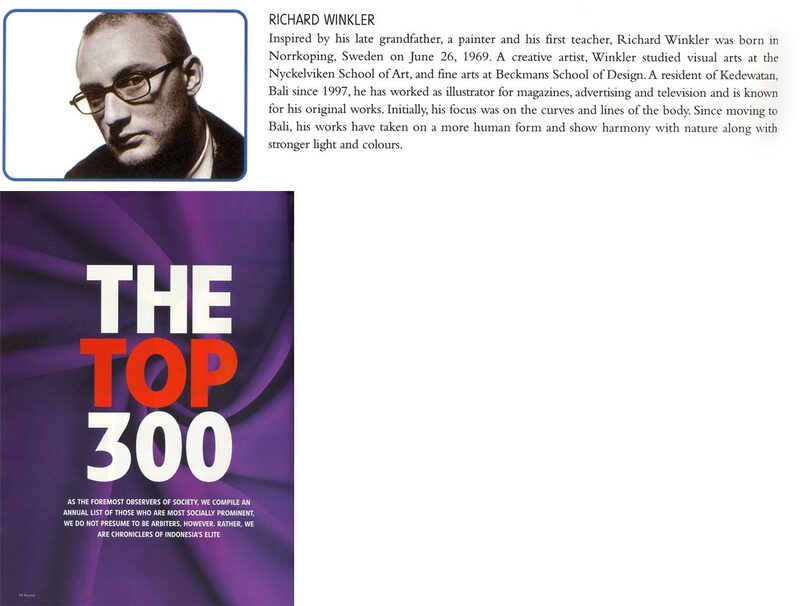 A creative artist, Winkler studied visual arts at the Nyckelviken School of Art, and fine arts at Beckmans School of Design. A resident of Kedewatan, Bali since 1997, he has worked as illustrator for magazines, advertising and television and is known for his original works. Initially, his focus was on the curves and lines of the body. Since moving to Bali, his works have taken on a more human form and show harmony with nature along with stronger light and colours.